The fruit of Josep’s labor, aside from some very happy cows, is milk and cheese. 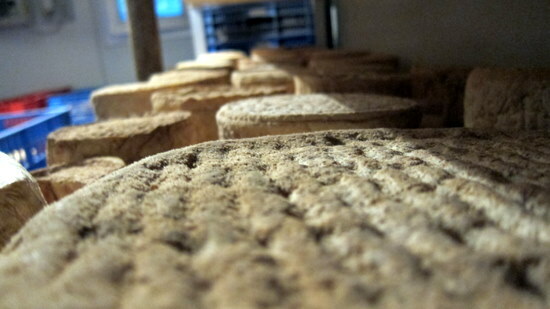 Sadly, while we were on the farm, Josep’s cheese maker was on holiday, so we were not able to see the process in action. But from what I gather, cheese is made by mixing milk, renin, salt and magic in a vat. It’s then dried in a temperature and humidity controlled clean room. One batch of cheese on each shelf – labeled with the date of its creation and whether it is pasteurized or unpasteurized. Every week the cheese is flipped so that it dries evenly, and the shelves are cleaned of a dust that comes off of the crust. I have to preface this by saying that I’m not a cheese connoisseur. I’ve only in the last couple of years taken to exploring the world of cheese. Also, I’m heavily influenced by the incredible experience of living on the farm so I’m far from objective. There’s also the novelty factor that the sale of unpasteurized cheese is illegal in the USA. It’s possible if you set up a blind taste test, my opinion would be different. With that said… Josep’s cheese is really, really good. The omnipresence of cheese makes it easy to take it for granted, which I probably did towards the end of our stay. Many nights we would carve off pieces of the cheese and warm it over the fireplace. Most of the time we would eat it straight up. Cheese was so plentiful that kilos of the not-quite-right chunks were fed to the fifty-six cats on Josep’s farm when he ran out of cat food. Luckiest cats in the world. 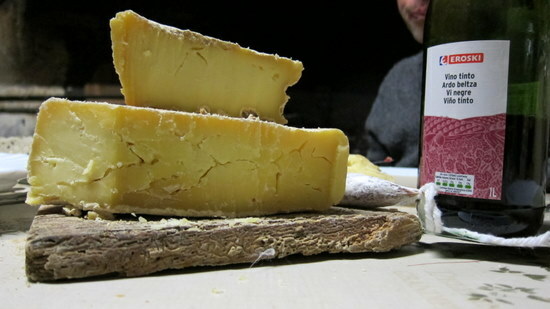 Josep has been told many times, and we agree, that the longer-aged (over six months I believe) pasteurized cheese tastes like a richer version of Parmesan Reggiano – which, strangely, Josep has never had. The unpasteurized version is similar, but with a stronger flavor. Two nights before we left, Josep pulled out a soft unpasteurized cheese. It seemed to me that this was the cheese he was most excited about.He asked “do you think this cheese is good enough for a restaurant?” I wanted to give constructive feedback, instead of kneejerk flattery, so I indulged in several slow bites over five minutes. It’s so good. So creamy – almost liquidy when first cut open. So pungent. So unapologetically cheese. I’m a salt fiend – I think everything’s better with a little more salt – this batch of cheese included. But with that small addition, it’s perhaps my favorite cheese I’ve ever had. It spreads like butter over bread, but I also enjoy eating it eat straight up with a knife. 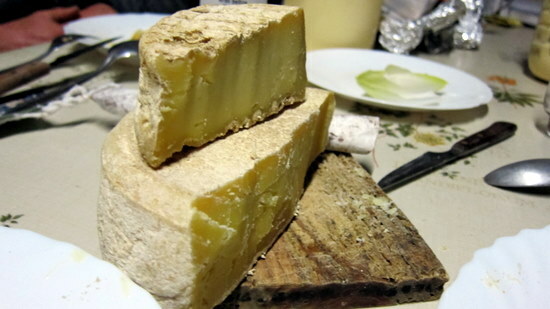 I particularly like the bites that include the rind, which adds texture to the creaminess. 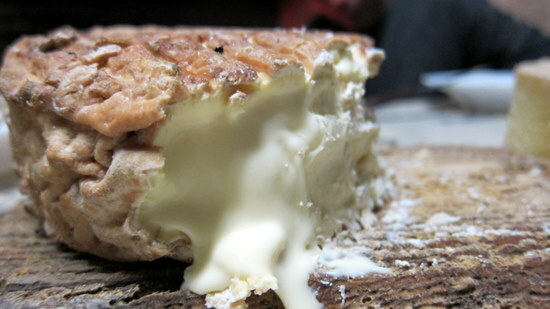 Many rinds are made by spraying the cheese with chemicals or bacteria. 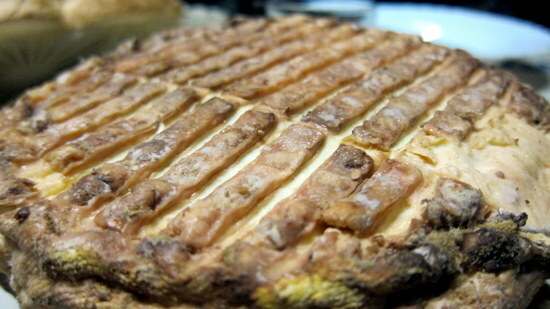 The rinds of Josep’s cheese are natural – simply an effect of the outside of the cheese drying. Familiarity breeds affinity, and by the time that I’ve gotten around to writing this post, I’ve had a lot of this cheese. We left the farm with an 800g block, which I was sure we would carry with us for the next few weeks to share with our host families. I’m now just trying to make sure I save some for Rachel. I have eaten three-quarters of it in four days. Josep currently sells his cheese at the criminally low price of 15 euro / kg. I don’t know much about cheese, but I know that we’ve bought far less interesting cheese for much, much more at Whole Foods. We tried to convince Josep that for some luxury goods, like cheese and wine, price and demand don’t necessarily have an inverse relationship. A high price signals a higher quality product. For uneducated consumers, often the only thing telling them that a $50 bottle of wine is better than a $10 bottle of wine is that it costs $50. Josep’s a farmer. He spends at least twelve hours a day tending to the maintanence of his farm, and it’s difficult to find time to devote to the business of being a cheese merchant. It’s my hope that he can find a partner who can convince him to double his prices, and help him sell not just the cheese, but its story as well. Until then, those fortunate enough to find Josep have the opportunity to purchase some incredible cheese for a ridiculously low price.